Million Dollar Marketing Blog: Value innovation: companies requirement for the X gen.
Value innovation: companies requirement for the X gen.
Hello friends ....right here right now waiting for a cup of coffee.... networking marketers like me called it e-coffee, in between this i have something to share with you.. According to one of my favorite author Richard lee “value innovation can help improve efficiency across the organization and deliver better results,” yes it is very true. I have seen that many companies always questioning and on the other way around forced to make a profitable growth to compete in the global economy.At the same time seeking an efficient and effective way. Here is the question tweeting in my mind ...how this is possible??? Company can do many things differently and uniquely. Thinking out of box not over the box. Always coming up with new ideas and products/services, and here companies like IBM, Bharati telecom,BLACKBERRY MAKER,Newcomer in Research in motion ltd.,(RIM),Southwest airlines co.,Toyota motors co.,.3M,BMW,GOOGLE and INFY etc. Yes, playing puzzle with risk .you should know the consequences and should go for it. Plan to fail or fail to plan-words to live by. Always being in the status of being creative. It will allow you to recapture the loyalty of thousands of customers from other companies. This gen x facilitates many evidence’s, which says an organization is not limited to innovation of its process, function and tools only. It can be extended through the organization culture and tradition also. It’s really worth a look. You can see companies like general motors (GM) and ford, these two are known for their large investments on the research and development. Their standard investment per year on year touches to 36,000 crore. I can guess what you’re thinking right now, it enable them to being the no.1 giants. But it is not the one and only value innovation my friends. The perfect example for value innovation here is “Apple”. Apple is awarded as the most innovative company in the world for many years. Their products are very catchy and appealing,(keep in mind that everything is not produced there-outsourced)that's why like the particular word "OUTSOURCE " very much. Of course they are delivering great value and are very user friendly irrespective of their outsourced manufacturing unit. E.g. i-phone, i-pod and the new tablets rumor has it i-slate. 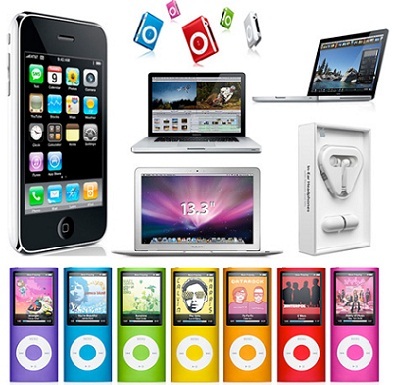 You may have the interest to know that does the Steve jobs brand invest ample amount of money on research and development . Generally apple believes in outsourcing, they use blustering technology from multiple sources to facilitate their innovative product portfolio i.e. innovative products and services of apple. Here is a short and brief description about value innovation. 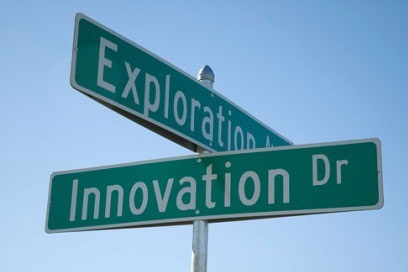 In the lay man language value innovation refers to the universal form of innovation.it neither limited to the developing of new products and services nor new ideas for making the business. It’s sharply focusing on producing and delivering value in any form and therefore, has mitigated the risk factor associated with the action. It was the late 90’s, when sir w Chan Kim and Renée mauborgne introduced the term value innovation and blue ocean strategy. As per their terms it refers to the other ways except the traditional ways of doing business. It can be a new business process/solution, development of a new business model, a new cracking way to making entry into the market or designed packaging(/image advertisement) and providing superb customer care taking services etc. but it should facilitate the exceptional value which can make your business and your type unique one in the market and globally. India and china are the two countries recently known for value innovation.